Turnkey Packages - NEW FEATURE! We have received so many inquires from vacation homeowners asking us for our assistance that we have come up with a new turnkey package. Our turnkey package is designed for the vacation homeowner that is having difficulty renting the home and is considering a light make over. Vacation homes and cabins with a designer touch will clearly set your home apart from the rest of the vacation rental pack. We have a great deal of experience in the vacation rental market and have extensive knowledge of what vacation renters are looking for in today's competitive environment. Ask yourself how memorable is a listing number in the hundreds of other vacation homes on the market. Having a memorable interior with a fully coordinated brand image is what is needed to set your home apart from the other homes you are competing with. Our turnkey package includes a color coordinated designer themed furnishings package that can be tailored to your home. Click on the tabs to the left to see the Turnkey packages we currently have available. We will be adding more turnkey packages so check back periodically. Vacation homeowners that utilize our turnkey services will also be considered into our vacation rental membership program. Membership includes a unique vacation rental website that has been designed to coordinate with the decor package and brand identity (trademark). All trademarks, service marks and copyrights are registered with the US trademark office, this insures that no one else will have the ability to copy the identity we have created for the home. Membership also includes professional photography and a floor plan which will be used to market the property. The Membership fee includes licensing for use of the website and covers the on-going cost of the domain name and hosting of the website, On Line reservation software and listing the vacation home on several of the most popular vacation rental listing sites. In addition, your property will be added to the the Vacation Holdings website with a link to the unique website we have designed to coordinate with the home. Membership also includes marketing services through Vacation Holdings. This is an optional service that is designed for the home owner who wants flexibility in either having us handle the complete reservation process or just certain aspects. Choose from a full list of service such as on line reservations, phone call and email inquiry and correspondence, guest service coordination, inspection reports using or proven systems and guest surveys. Our members can choose to handle there own inquires or let Vacation Holding take care of responding to inquires for you. This service is designed for the homeowner that are not able to answer phone calls during the day or respond to inquires by email quickly. We have developed a system where you can answer your own calls or let the calls roll automatically route over to us. We will respond to all your inquires and copy you on all correspondence. Service includes a quarterly tracking report showing complete information with comments on every inquiry that came through us. This service is included in the monthly membership service fee. Members can choose to handle there your own reservations or let us handle the complete reservation process for you. 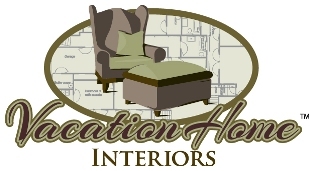 This service is designed for the vacation home owner that would like the ability to process a reservation on line and is not comfortable processing the reservation themselves.